The idea of disposable air canisters isn’t the most appealing for a number of reasons. But we do rely on them to clean a lot of gear. Here’s a review of a can-less, cartridge-less option that could prove itself to be a great alternative. There are three things I hate about disposable air canisters: they get freezing and wet after a lot of use, throwing them away starts to be wasteful, and they can spray out spurts of liquid that leaves residue on your gear. I was actively searching Amazon for a refill, however, when I was hit up for a possible review of the X3 Hurricane canless air system. This seemed so obvious to me, I was shocked I had never looked into something like this before. The design is something that was a bit shocking at first. While it’s probably no smaller than an actual compressed air canister, it is still a bit surprising to see in person. I thought it was a little on the big side, but I can understand why. 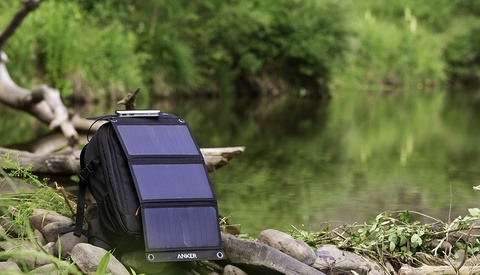 However, with a rechargeable battery that lasts much longer than it really needs to, one might wonder if there could be a way to make a more portable one in the future. For now, while you could fit it in a bag and take it with you (it’s not heavy), it’s still a little better suited for the studio where taking up nearly as much space as a 70-200mm lens isn’t as much of an issue. The rest of the design is pretty straight-forward. The X3 charges via a standard barrel-style port on the back (charger included). I would have rather seen a micro-USB or even more modern USB Type-C charging method for even greater portability/travel mojo, but I’ll settle for this in exchange for saving from the waste of all those cans of air. The X3 Hurricane gets its name from a key fact that it advertises: its air comes out at 260 mph. This sounded almost painfully fast to me when I heard about it, but upon testing, it is actually quite similar to the feel I get from a compressed air can. I would say the X3 even feels a bit softer, but it’s opening is also slightly larger. While there isn’t a smaller, cocktail-straw-sized adapter for the front (with which it might actually be too powerful to be safe for some gadgets), it does a good enough job on its own thanks to the power it provides. Still, you might be surprised based on the rather noisy motor or fan noise coming from the unit compared to the actual force of air coming out. It does sound like it’s working hard. But it does work, so I really don’t mind, even if I do still want a smaller attachment for a more powerful blast at times. Several attachments let you extend, bend, and brush your way through virtually any dust problem. I particularly found the brush attachment helpful, as there are some areas that canned air just doesn’t clean (between or around dials on the top of body, for example). For this, the gentle rubbing of the softer bristles did a great job of cleaning gear. Again, I wish the charger was more compact or that there was a more modern charge port on the back so I didn’t have yet another adapter to lose. But it’s a small price to pay for the benefits you gain. Through a small company that I own that rents out film cameras, we go through a lot of air cans to keep our gear reasonably clean between rentals. And I’ve never had a better time doing it than I did with the X3. I don’t tense up wondering when that spurt of liquid will come out because I just pushed too long without shaking and letting the can rest (I can tip this upside-down, too, without issue). The brush works extremely well. And I’m saving a ton of waste with a reusable canister. Even with the expense of the X3, I would pay more for an even more powerful system. It is odd that there isn't an even smaller attachment available. But a little more power wouldn't hurt, especially when you really need to blast air on the external parts of a camera and get into those crevices. One also wonders about the possibility of a portable system that would compress air into a canister that could then be released at a higher pressure instead of directly fanning the air out from a powerful motor. But we'll see if there are improvements on the horizon. Overall, I'm still happy with the X3 and would get it again. I just still want a little more. 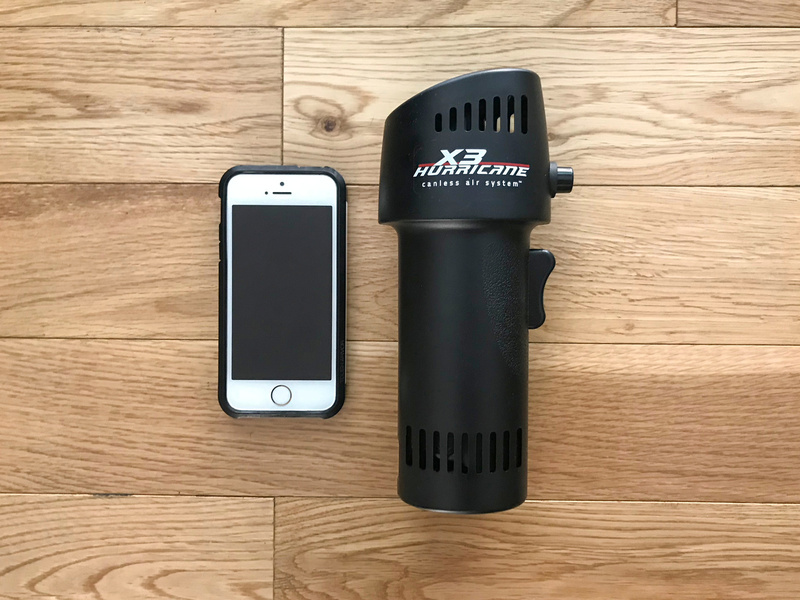 The X3 Hurricane is the most powerful option and comes in at $147.86. 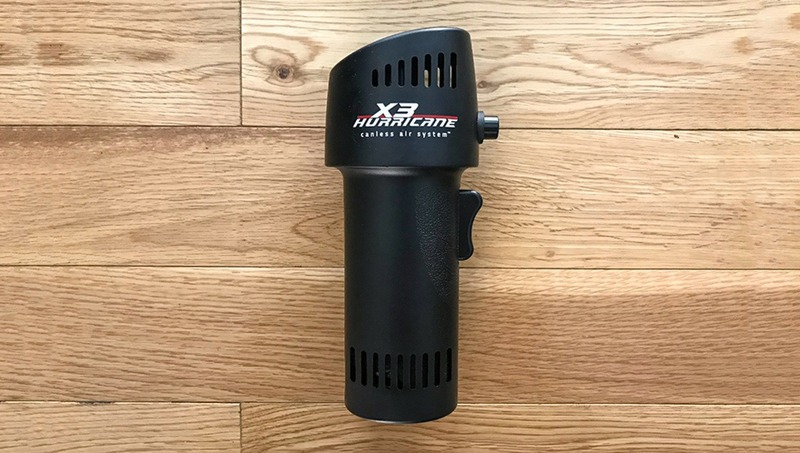 On B&H, a less powerful O2 Hurricane is available for $98.95, but I would highly recommend the more powerful X3 because it seems to provide the bare minimum in terms of blowing force. The X3 also comes with a lifetime warranty compared to the other models' limited one-year warranty. The extra $50 seems like a small price to pay for an adequately powerful system with a lifetime warranty. And maybe you'll be even more incentivized to keep your gear clean with a wasteless system that doesn't require replacement over the years. Of course, you probably don't want to blow air directly onto your sensor, since you'll also be blowing dust and debris right at it at the same time (try this instead). But for everything else, the X3 system with the included brush attachment does get the dust off quite well. Do you use compressed air to clean your gear or have other options you like better? To each their own, but I'd rather run a compressor/tank/blowgun for the price. But then again I have room in the studio. You can get fairly small, relatively portable compressors for much less than the X3. You need to compensate for water condensation, but otherwise it's a much better route to take if you need to use compressed air regularly in your daily shoots. Back when I used to do professional darkroom work all our darkrooms had their own compressors. Exactly. I have a compressor in the garage and ran a hose through the wall to my darkroom. Problem solved. 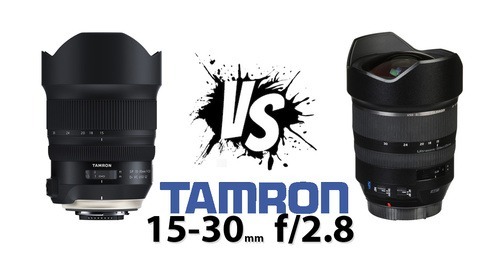 Not sure if it's the same brand, but there is a unit like that in a studio I freelance in. It wasn't that great however, just not enough air pressure. Loud as hell too. They went back to using canned air. Could also use a 3lt Scuba tank, first stage, hose and blow-nossil for those who are in this field. It's dry & pure/clean air, an interesting option for in studio/home clean. Do you mean 3 liter? That seems kinda small, although it would be small enough to be portable I suppose. I can get 40 cans for $150. So I would have to regularly use more that that for this to make sense. ...it's really loud tho. People in a production studio next to a photo studio where I work in hated it. I think its more based off the environmental impact rather than cost. Yes, there is a environmental impact. But I usually use a rubber blower. I have Dust off for the really dusty days. Empty can gets recycled, not sure about the propellant toxicness. The X3 is another battery powered electronic gadget that I would most likely lose the proprietary charger cord or eventuality will break and end up as e-waste. It has it's use but sometimes easier is "better"? This seems like a much better piece of kit; been around longer too. I have no idea how it compares though. Hi, I have no experience with compressed air (besides seeing one in action at a mechanic's) nor with this Hurricane, do you think it has enough power to blow a model's hair? I know this is traditionally done with huge, floor-dryer style blowers but the prospect of a small handholdable unit deployable on site with gafer tape on stands/assistants is really tempting to me. Thanks for your reply.